Europe’s largest climate change education experience – Climate-KIC’s summer school The Journey brings together nearly 300 students every year. Before you embark on your journey, you will take part in a Climate-KIC online course, which includes an introduction to climate challenges, impact measurements and problem statements formulations. The course will get you thinking of how to best find areas of impactful action to battle climate challenges. In the first week, the summer school focuses on providing information about climate change, including scientific lectures by some of the best researchers and professors in Europe. In week two, the focus will be on entrepreneurial business content, coaching, and the group work towards a business idea, which is going to be presented at the finals in week three. The final week is focused on finishing the business concepts and creating the finalising your business model canvas, pitching the business cases and receiving feedback from a jury of experts. Before you embark on your journey, you will take part in a Climate-KIC introduction day, which includes a general information session and preparation for business ideation in order to already get you thinking about your business idea. The five week-long course offers a unique combination of academic study and real-world business experience across Europe, with the aim of creating the climate change leaders of tomorrow. The participants will gain a broader perspective on how they can apply what they have learned during The Journey to their professional future and how Climate-KIC can be of added value after the summer school has finished. The application deadline is on 18th February 2018. Apply to our programs in 2015! 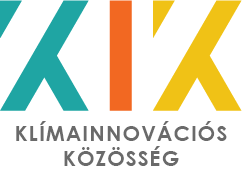 EIT Climate-KIC financed climate change adaptation and mitigation related programmes in the fields of education, innovation and enterpreneurship are open for application! Apply now for The Journey! We are happy to announce that the 2015 edition of Climate-KIC’s summer school, The Journey has opened its call for applications. If you have any questions about the programme or the application process, feel free to send an e-mail to education@ppis.hu.